TKO Boxing: Ticket On Sale Friday For Oct 31 "Fright Night Fights"
Tickets will go on sale this Friday, October 9th as Chet Koerner’s TKO Boxing Promotions and Team Taylor Made present “Fright Night Fights" an evening of world class professional boxing set for Saturday, October 31st at the Cambria County War Memorial Arena. Headlinig is the highly anticipated cruiserweight rematch between Johnstown fan favorite Andres Taylor and Leo Bercier of Great Falls, Montana. On June 27th, Taylor and Bercier engaged in an outstanding six round “Fight of the Year” candidate battle in Youngstown, Ohio, in a bout that had the huge crowd at the Memorial Field House on their feet cheering for both combatants throughout the fight. After six rounds of war, Bercier was awarded a very close decision. Taylor, defending his WBF Cruiserweight title, brings a record of 10-1-1 (6KO’s) into the revenge seeking eight round bout with Bercier, 8-10-1 (4KO’s). After the loss to Bercier, Taylor has bounced back with two crushing knockout victories; Joseph Harris in the fourth round on August 27th in Hagerstown, Maryland and Roy Ashworth in the fifth round on August 1st in York, PA.
Also featured is the Johnstown debut of sensational featherweight prospect, Carney Bowman of York, Pennsylvania. Known as The Fighting Pride of Central Pennsylvania, the 26 year old Bowman brings an all action style of boxing into ring, having amassed a record of 14-0-0 (6KO’s), in his five year professional career. 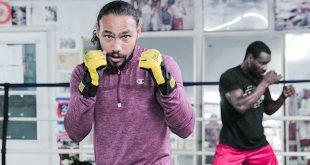 In his last start, Bowman scored a devastating third round knockout over hard hitting Dominican veteran Delvin Placencia at the Sovereign Bank Baseball Stadium in York on August 1st in front of thousands of cheering hometown fans. Also, popular undefeated Pittsburgh welterweight Jesse Lubash will be in action. The 24 year old Lubash, 12-0-0 (7KO’s), is coming off a six round decision win over Jessie Davis on September 30th at the home of the Super Bowl Champion Pittsburgh Steelers, Heinz Field. 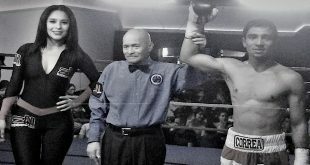 Earlier this year, Lubash scored the biggest win of his career, knocking out highly regarded veteran Chucky “T” Tschorniawsky in the second round on February 27th at the Prudential Center in Newark, New Jersey. 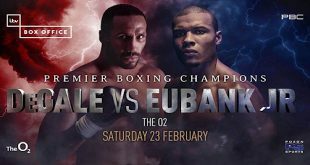 The bout took place on the undercard of the Showtime televised cruiserweight world title fight between Tomasz Adamek and Johnathan Banks. This will be Lubash’s fourth appearance at the Cambria County War Memorial Arena, having recently knocked out Chad Greenleaf in the third round on May 2, 2009. Additionally making his Johnstown , PA debut is world class super middleweight Joey Gilbert of Reno, Nevada. Sporting a record of 18-2-0 (14KO’s), Gilbert was one of the stars of boxing reality series, The Contender, Season One on NBC. Earlier this year, Gilbert and Reno cross town rival Jesse Brinkley faced off in a “blood and guts” war at the Reno Events Center in front of 7,000 screaming fans. Despite having his nose broken in the fifth round and bleeding profusely throughout the fight, Gilbert valiantly fought to the end, losing a very hard fought twelve round decision. Gilbert returned to action on August 29th, scoring a fifth round knockout of Ivan Stovall in Fallon , Nevada . 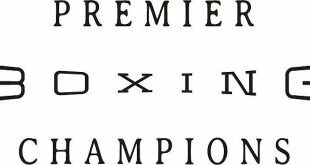 Rounding out the undercard is former Russian amateur standout Fedor Chudinov will see action in a four round super middleweight bout. In his first two professional bouts, the 22 year old native of Serpukhov, Russia has stunned fight fans in Reno, Nevada and Pala, California scoring head spinning knockouts of Shawn Kirk on July 10th in his pro debut, following that up on August 22nd with a stoppage over Mikhail Lyubarsky, both in the first round. Priced at $60, $30 and $20**, tickets can be purchased through Ticketmaster (www.ticketmaster.com., phone 800-745-3000), the War Memorial Arena Box Office (814-536-5156), Giant Eagle Markets in Johnstown, (1451 Scalp Ave. and 1234 Broad St. ) and at Watchmakers Diamonds & Jewelry, 1252 Scalp Ave. in Johnstown. A limited number of VIP seats can also be purchased at all outlets. The Cambria County War Memorial Arena is located at 326 Napoleon St. in Johnstown . Doors on the evening of the event will open at 7pm, with the first bell at 8pm. **All tickets are subject to a $2.00 facility fee and any applicable Ticketmaster charges. Previous Boxing Perspective: Audley Harrison – “A Force” Or “A Farce”?